Haga clic aquí para leer esta información en español. 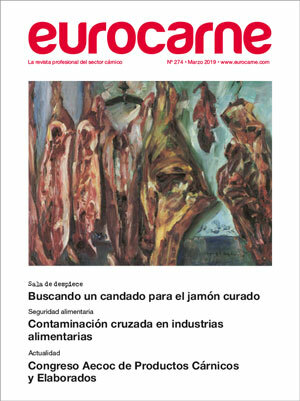 With 25 years of experience is the leading magazine in Spanish language for the meat industry. Our magazine is especially targeted to the meat sector and its highly valuated for manufacturers of fresh and processed meat products. Machinery, additives and ingredients manufacturers use every day our digital or printed media to communicate with customers and prospects. is received on subscription by companies and professionals in the meat sector. Our subscribers list is growing every day. It consists mainly of quality, food safety or production managers, and managing directors. has a strategic distribution in the meat sector's main events and fairs. If you are interested in advertising on and its digital editions, please click here.